Spray.Bike spray cans will ship separately from the rest of your order, additional shipping cost will be added to your order. 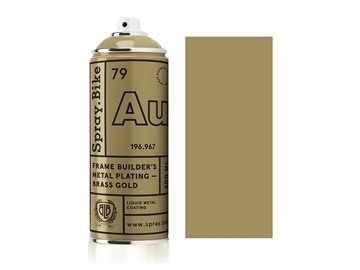 Traditionally, steel bikes were zinc-dipped before being painted, the zinc creating a non-corrosive barrier to prevent rust and prolong the frame’s life. 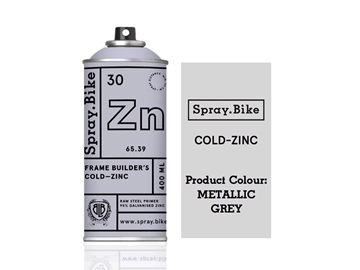 Our cold-zinc spray primer honours that tradition and provides unrivalled protection against corrosion on steel bike frames. A supreme-quality brass/gold-coloured paint with high metal content. This liquid plating dries hard and will not rub off and can be sprayed directly onto existing paintwork. A supreme-quality bronze/gold-coloured paint with high metal content. This liquid plating dries hard and will not rub off and can be sprayed directly onto existing paintwork. A supreme-quality copper-coloured paint with high metal content. This liquid plating dries hard and will not rub off and can be sprayed directly onto existing paintwork. A supreme-quality pewter/silver-coloured paint with high metal content. 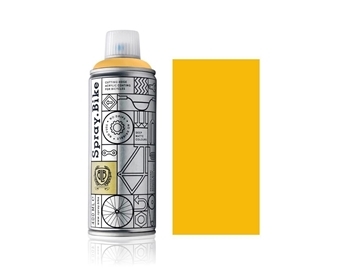 This liquid plating dries hard and will not rub off and can be sprayed directly onto existing paintwork. 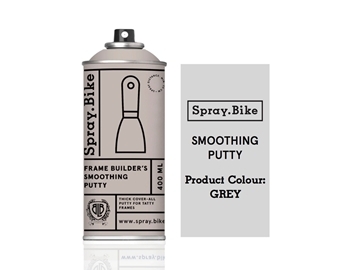 This thick cover-all putty is perfect for tatty frames. Covers minor blemishes including scratches, rust damage and stickers. 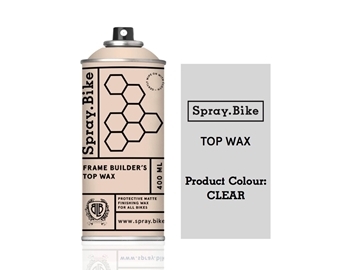 This water-based finishing wax is suitable for all bikes. 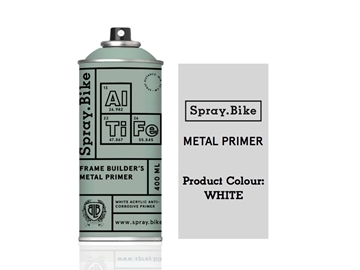 Do not spray directly onto the frame. Instead, spray onto a paper towel or lint-free cloth and apply gently. Spray.Bike colours are matte. 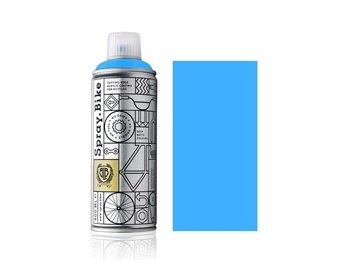 This acrylic Transparent Finish adds a satin or gloss top-coat. 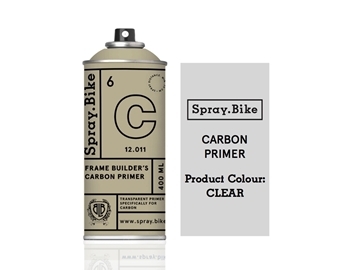 Spray.Bike is the bicycle product we have all been waiting for – a DIY powder colour coat that’s super easy to use. 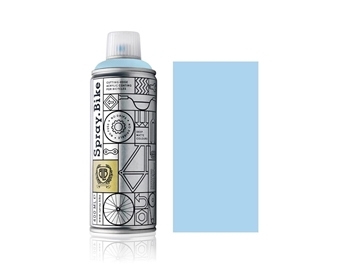 It gives great results without requiring either spray paint experience or any other equipment... it's all in the can! 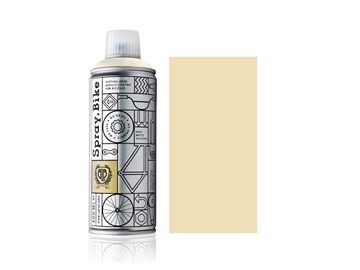 The spray we've developed is unlike traditional metal paint. 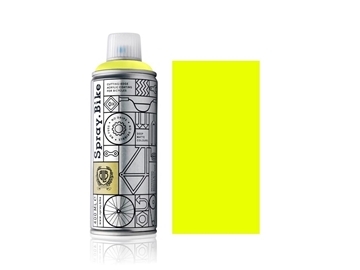 Spray.Bike is a dry matte powder coating that doesn't drip, dribble or misbehave in any way. 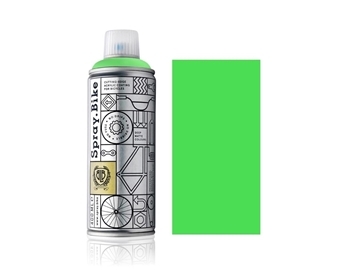 Spray.Bike paint is revolutionary in its ease of application and quality of finish. Available in many colours from modern pop brights to historic and vintage tones, the possibilities are endless and crazily creative! A single 400ml spray will cover a bicycle frame and fork with a single coat. 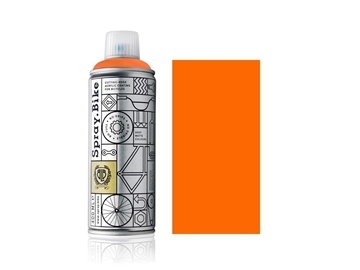 Spray.Bike paint will keep for up to 10 years in its can, so it’s always there for touch-ups or repairs.